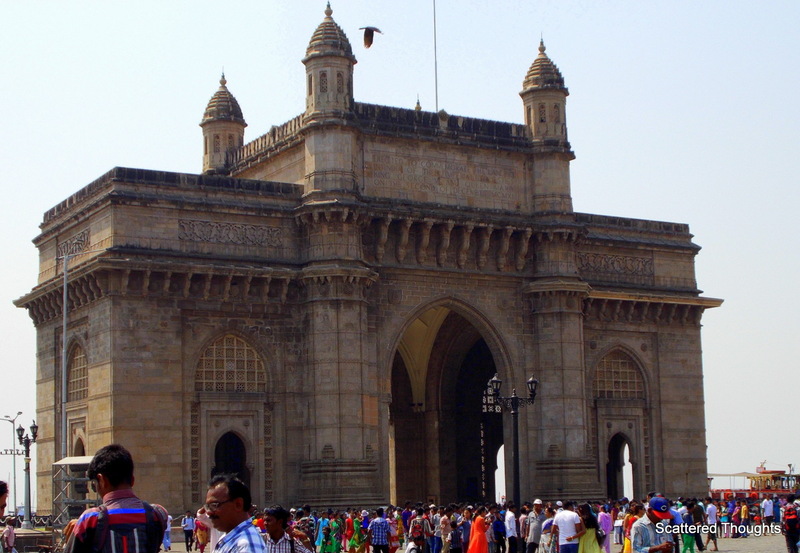 The Gateway Of India situated at the Apollo Bandar, South Mumbai, is one of the famous architectural monuments of India. Built by the British in 1911, to commemorate the arrival of King George V and Queen Mary, this gateway has historical significance too and has now become a point where almost all tourists flock. The Gateway and it’s adjoining areas take the shape of a grand fair in the evening. While cool breeze from the Arabian sea soothes the body, you’ll find people standing with a gawking mouth at the direction of the Taj Mahal Palace Hotel, a throbbing evidence of the 26/11 Mumbai terrorist attack. 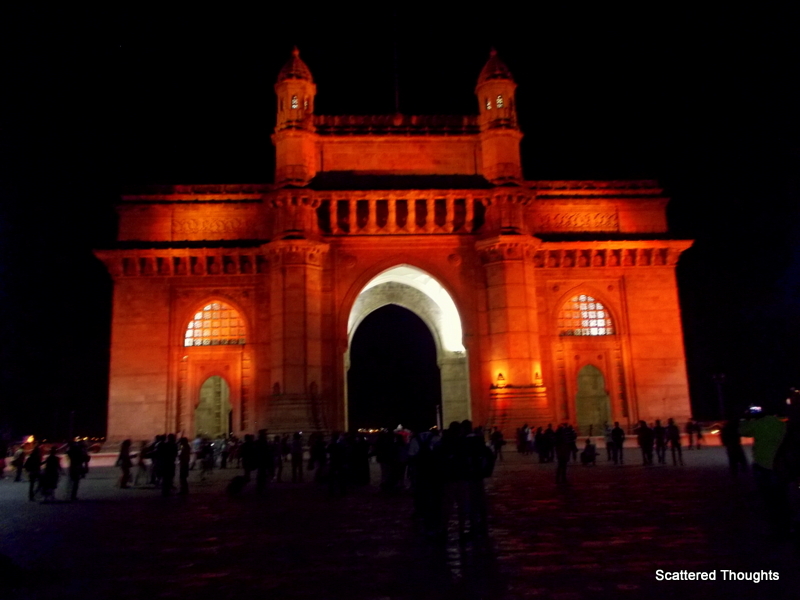 The Gateway of India was designed by the architect George Wittet, It is made of yellow basalt. It also stands as a silent witness of India’s independence as the last ship of British Empire which set sail for England left from this gateway. Here are some pictures which I captured during my visit to Mumbai. Hi Didn’t know you were friends with Archana Chaurasia. She is an ex colleague. We were together in HSBC. Ms Maniparna, finally I have follow me working on my site. Thank you. Have seen so many images of this historical structure but the 2nd one is unique. Loved the pics! What a beautiful and regal structure..! Beautiful Clicks Mani…The scape dunked in lights looks awesome. 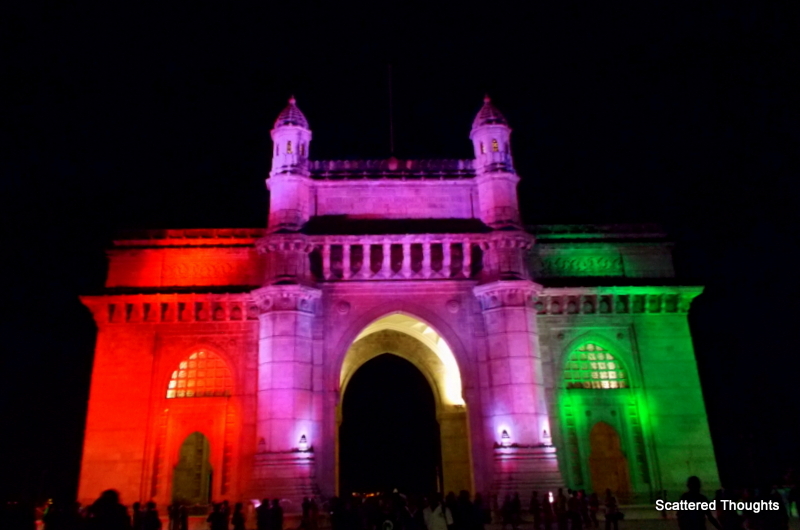 Whenever I see gateway of India I feel proud as well as a big salute to a big nation with loads of wonderful people. Beautiful photos 🙂 I Love to visit Gateway. Loved your night shots too. 😀 Did you went on a ride on those colorful buggies? Stunning I have always seen the majestic Gateway in the day! Thank you.